The Finns do some things right. 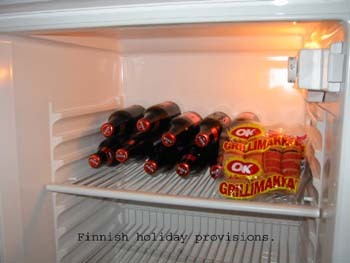 This is the contents of a typically Finnish fridge, during the holiday season. The 'OK' packet is barbeque sausage.